Iran, August 12, 2018 - The strikes and protests of the merchants of Tehran’s shoe bazaar entered their second day on Sunday. The protesters, who started their strike due to high prices and lack of access to the basic goods necessary for their line of work, chanted “Death to high prices” and “Death to the dictator,” targeting the regime in its entirety. But the strikes continue despite the regime’s extreme measures to prevent strikes and protests, there’s still turmoil in Tehran’s bazaar and a large number of shops remain closed. 11:30 AM CET: New reports indicate that despite the heavy presence of security forces, the number of protesters in Tehran’s shoes bazaar continues to grow. Striking merchants are chanting “Death to dictator” and “Death to high prices” and are calling on all other merchants to join them and close their shops. Currently, the Vahid, Azam, and Kamali shopping centers in Tehran are taking part in the strikes. The number of protesters and striking merchants are constantly increasing. The protests, which started yesterday, quickly expanded beyond the shoe market and garnered the support of Sepahsalar, Manuchehr Khani, and Moussavi bazaars as well.  According to reports obtained by the MEK network, security forces are threatening merchants and trying to force them into opening their shops. But the strikers continue to refuse to open for business and their numbers continue to grow. The protests are taking place against the backdrop of ongoing nationwide protests that started in December and have continued since then. Last week, protests erupted in several cities, with slogans being chanted against the highest authorities of the regime. Clashes ensued between protesters and security forces. Security presence in key places of Tehran and other cities has increased. However, the people are becoming bolder in defying the Iranian regime’s repressive forces and voicing their protests against the regime.